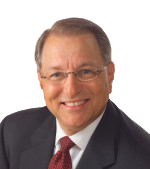 Frank Bucaro the prestigious award of CPAE, Speaker Hall-of-Fame (Council of Peers Award of Excellence) and the CSP (Certified Speaking Professional) designation through the National Speakers Association. For over 20 years, Frank has spoken to hundreds of clients in various industries about the importance of ethics in business. He has been interviewed on BusinessWeek Online, CNNfn (now CNN Money), RE/MAX Satellite Network, New York Life Satellite Network. His articles have appeared in Best Practices in HR, Affluent, The American Salesman , Business First of Louisville, Corporate Incentive & Travel Online, and American Way (American Airlines magazine), just to name a few. How “Genuine” Is Your Leadership?